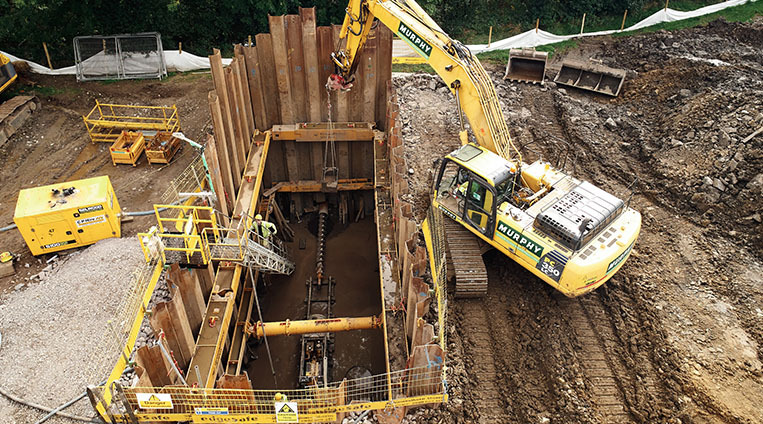 Groundforce's shoring equipment portfolio includes a full range of Trenching Equipment Systems and Shoring Equiment including: Trench Box Systems, Trench Sheets and Piles, light and heavy duty hydraulic bracing and strutting systems and other related products. Groundforce is Ireland's specialist supplier of piling equipment to the construction industry. They offer a fully comprehensive range of equipment for your driving, extraction and foundation preparation projects. Groundforce supplies a range of pipe stopper and air testing equipment to suit every type of construction project. Whether you require technical support or assistance, we you can get the job done quickly with our superior product range. Groundforce offer high quality equipment and technical support to the Utility and Civils sectors, with innovative and tailored products to serve the Power, Water and Gas industries. Groundforce also offers a range of self drive vacuum and suction excavation trucks for safe excavation around underground cables and pipes. Groundforce offers an extensive range of temporary access products incorporating Temporary Bridging, Portable Roadways, Pontoons and Rapid Rail Access. Groundforce is one of Ireland’s largest suppliers of temporary access solutions, operating from Lisburn and Portlaoise. Groundforce’s temporary access equipment is used in the installation of portable bridging, roadways, walkways and stairways to customer in the transmission, construction, rail and outdoor events markets. Groundforce Training offers unrivalled knowledge in Excavation Support Training. With over 25 years of experience as market leader as a Ground Support Systems supplier, Groundforce Training prides itself on delivering hands on experience in a safe environment by qualified industry professionals.